welcome to Deke Kincade Rhythm! Deke Kincade is a world-class musician sharing creativity and passion for rhythm through drum circle facilitation, workshops, and performance on hand-drum and drum-kit. He builds community through the power of music and drumming in schools and universities, residential and health care settings, and for community and private groups. Joining other music-loving performers, Deke shares his experience on drum kit, hand drums, and vocals in the studio and in clubs, festivals, and house-concerts. The Penn Memory Center of the University of Pennsylvania Medical Center is pleased to invite their patients and friends to participate in a drum circle with Deke Kincade at Christ Church Neighborhood House in Old City on Friday, July 28, 2017. This program is exclusively for people with memory problems, including Alzheimer’s disease, and their partners/families/caregivers. A great group at the Memory Cafe! Clients and families had fun drumming with each other at the Memory Cafe of the Penn Memory Center. Great time drumming with the New Jersey Activity Professionals Association at their Fall Forum. Activity Directors rock! As an experienced drum circle facilitator across all levels of service in healthcare and residential settings, Deke works with people faced with a variety of cognitive and physical challenges. Collaborating with staff in appreciation of the diverse life experiences, expectations, and needs of older adults and others with special needs, Deke provides an opportunity for all to participate in the power of music and rhythm regardless of acuity level. It's about connecting, thriving and living in the moment. It's about having fun! Every culture on earth has a history of using drums and rhythm to communicate and connect while removing barriers. Today's drum circles continue that tradition. All levels are welcome in a facilitated drum circle as musical and rhythmic threads connect the group - and a drum circle is always fun! The purpose is to use rhythm to create a dynamic connection between people. Drum circle participants play drums and percussion instruments communicating and connecting with each other while creating and sharing a dynamic experience. No musical experience is needed to enjoy the circle. A shared purpose grows along with all of the smiles, as individual rhythms come together and become a musical conversation. The power of music and rhythm is enriching for every level of ability and every age. In a drum circle the universal language of rhythm removes barriers, builds trust and creates a renewed sense of spirit and community. It feels good because it is good for you and fun at the same time! A drum circle is a musical and rhythmical conversation that celebrates the spirit of community. All ages and cultures speak the same language in this conversation. 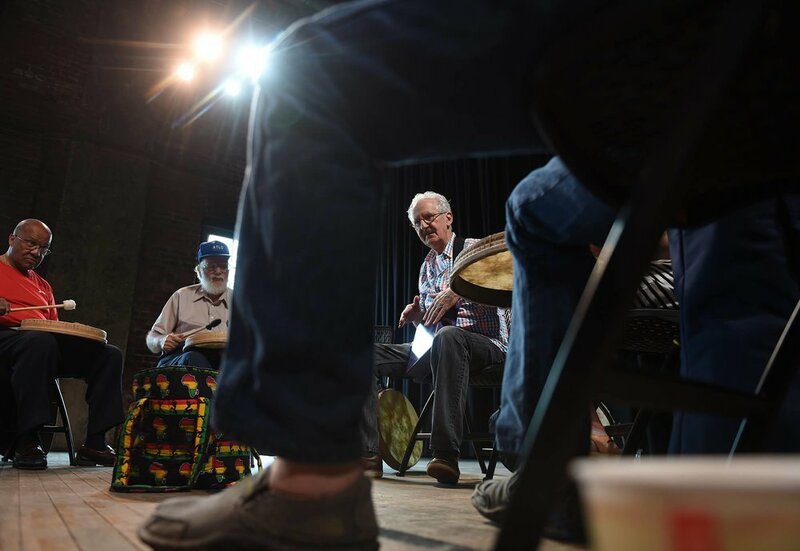 Deke Kincade facilitates special musical and rhythmical programs called drum circles with groups who play drums and other percussion instruments while sitting or standing - you guessed it - in a circle! The group develops a shared purpose as the song and rhythm of the circle demonstrate how much we can accomplish when we truly come together. As the group creates together, a celebration of community evolves. Because the rhythm and music celebrates commonalities as well as differences - there is no right or wrong in a drum circle. All that matters is that every voice is heard and everyone has fun! Deke uses fun and easy to follow games to introduce everyone to their instrument and to all of the sounds that are possible. For more information connect with Deke here. No matter what challenge we face, we retain a basic human need to belong and feel capable and useful. We all deserve the opportunity to experience meaningful engagement. 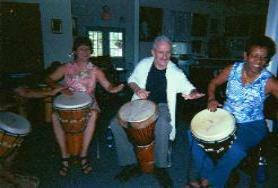 Deke has facilitated drum circles in residential and healthcare settings for more than 20 years. He engages staff and clients through music and rhythm at more than 300 communities and organizations every year. With extensive experience at every level of care, Deke provides an opportunity for all to experience the power of music and rhythm regardless of acuity level. As Deke facilitates a drum circle, all participants engage in an experience which respects and honors the connection between mind, body, and spirit. Rhythm is the most fundamental part of music and provides a thread to not only connect with each other but to also connect with other times..
. . . and increased fun & laughter! Practice really does make perfect! Check out the terrific video above from Anita Collins and TED Ed. Recreational Music-making: An Integrative Group Intervention for Reducing Burnout and Improving Mood States in First Year Associate Degree Nursing , Students: Insights and Economic Impact (Barry B Bittman MD / Cherie Snyder MSS, MA / Karl T Bruhn / Fran Liebfreid BSN, M.ED, RN / Christine K Stevens MSW, MT-BC / James Westengard BS / Paul O Umbach M; Meadville Medical Center; Allegheny College). The Role of Rhythm in Speech and Language Rehabilitation: The SEP Hypothesis (Shinya Fujii, Catherine Y Wan.. Front Human Neuroscience, US national Library of Medicine, National Institute of Health). The ability to more effectively retrain the brain following a stroke or other neurological impairment (Michael Thaurt, Director, Colorado State University’s Center of Biomedical Research in Music). Why Does Music Make Us Feel. Study demonstrates the power of music to alter our emotional perceptions of other people. http://www.scientificamerican.com/article/why-does-music-make-us-fe/. Scientific American article published September 15, 2009 by Mark Changiziz, professor, Department of Cognitive Science at Rensselaer Polytechnic Institute. Performance of music elevates pain threshold and positive affect: implications for the evolutionary function of music. Evolutionary Psychology (R.I.M. Dunbar, Department of Experimental Psychology, University of Oxford). Drumming on the Edge of Leadership: Hand Drumming and Leadership Skills for the New Millennium (Mikenas, Edward E. PERCUSSIVE NOTES). Joint drumming: social context facilitates synchronization in preschool children (Sebastian Kirschner, Michael Tomasello. Journal of Experimental Child Psychology). Recreational music-making alters gene expression pathways in patients with coronary heart disease (Barry Bittman, MD, Daniel T. Croft Jr., Jeannie Brinker, Ryan van Laar, Marina N. Vernalis, Darrell L. Ellsworth; Medical Science Monitor). Improved Executive Function and Callosal White Matter Microstructure after Rhythm Exercise in Huntington’s Disease. (Metzler-Baddeley C, Cantera J, Coulthard E, Rosser A, Jones DK1, Baddeley RJ. Journal of Huntington's Disease, NIH). The Impact of Group Drumming on Social-Emotional Behavior in Low-Income Children (Ping Ho, Jennie C. Tsao,, Lian Bloch, and Lonnie K. Zeltzer1, Pediatric Pain Program, Department of Pediatrics, David Geffen School of Medicine, University of California, Los Angeles, USA, Clinical Science Program, Department of Psychology, University of California, Berkeley, CA, USA). Feeling the beat: Symposium explores the therapeutic effects of rhythmic music, (Emily Saarman, Stanford University Center for Computer Research in Music and Acoustics). Deke encourages the group to reach beyond expectations as they play drums and percussion instruments. During these fully experiential events his role is to be a guide helping people feel welcome and able to participate in the creation of improvisational music and a sense of connection with each other. Deke brings an infectious energy to every drum circle. He shares the connection between rhythm, song and spirit calling upon personal musical roots that embrace a rich variety of cultures and traditions. As facilitator, his role is to serve as guide, making everyone feel welcome and able to participate. Deke supports the group's experience with both gentleness and spirited energy as sounds and rhythms connect and music and a sense of community emerge. As a drum circle facilitator, Deke celebrates the intrinsic worth of all participants. With patience, skill and insight he ensures the fun and pleasure of drumming is accessible to everyone. Playing drums since grade school and facilitating drum circles for nearly 20 years, he has the passion, creativity and intuition to help participants connect with each other and enjoy the power of rhythm and music. 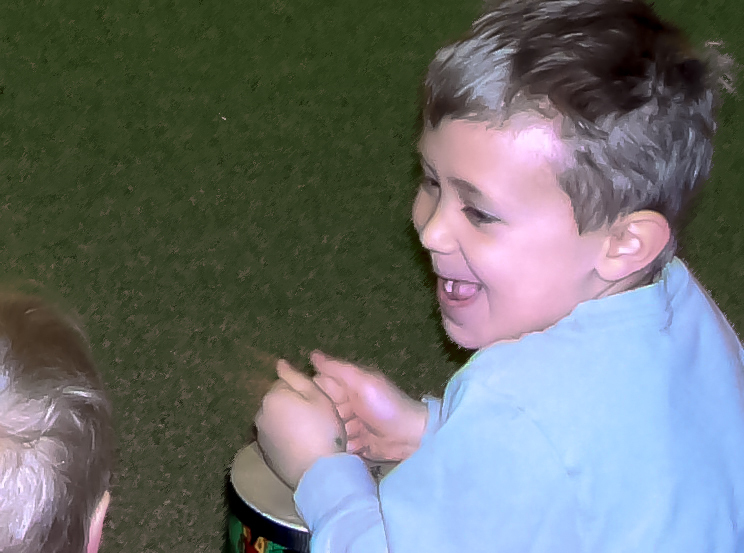 Deke facilitates drumming events for people of all ages and abilities. Tina Blaine - Carnegie Mellon Univ. Entertainment Technology Ctr. Learning to drum is about learning what makes everything jive - whether learning for personal enjoyment or to play professionally. 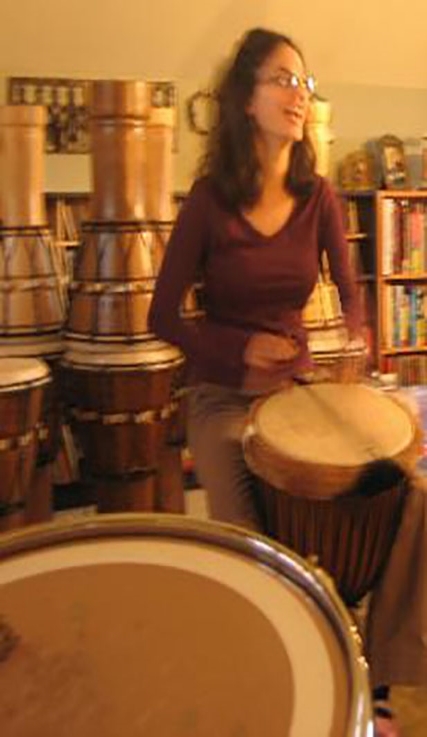 All students are encouraged to enjoy the process of learning about rhythm and drumming. Everyone has rhythm and everyone can learn! Private lessons and group workshops in hand drumming are available. Private instruction is available on drum kit and practice pad. Deke is available for private instruction on drum kit. Using a drum pad and drum kit to teach the important rudiments of kit drumming, he shares experience, understanding, and excitement with all of his students. Specifics of style, creative applications of rhythm and sound and the importance of playing to the song are all covered. Students are able to transfer skills from the pad to the kit with confidence. Rare vintage kits as well as Drum Workshop kits and digital instruments including the Roland HandSonic are used in class. Students will need a practice pad or personal instruments for practice between classes. Get started on your hand-drum! Teaching the basics of hand-drumming and rhythm, Deke's encouragement and support make the learning experience satisfying as well as fun. Private classes can be scheduled individually or on an ongoing basis. Introductory group workshops are available. Groups can also schedule recurring circles. Call for more information. Private students will need their own hand drum for instruction and practice between classes. Contact Deke if you have questions about how to choose your hand drum. All instruction begins with an assessment of current skills and overall goals. For more information connect with Deke here. Playing drums all of his life, like all great drummers, Deke started out on pots and pans in his Mom's kitchen. Deke Kincade is an experienced musician performing professionally on drum kit, hand drum and vocals on stage and in studio settings. Connect with Deke here to talk about stage and studio availability . Deke joined his first band in the 1960's and continues to perform professionally with a wide variety of talented musicians. 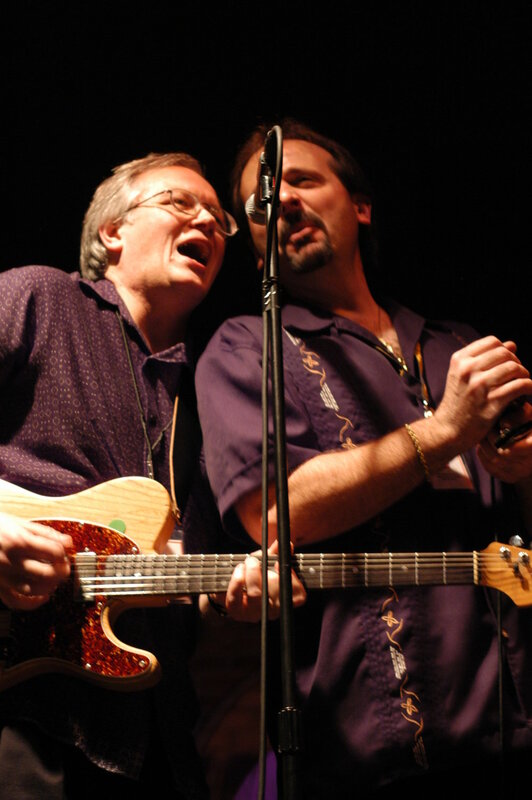 Performing with bands in western Pennsylvania and all along the east coast, Deke's skills and musical interests developed out of diverse cultural influences. The best way to learn music is to play music - and Deke has played non-stop and full-time with many incredible musicians. Listen to or download music here. 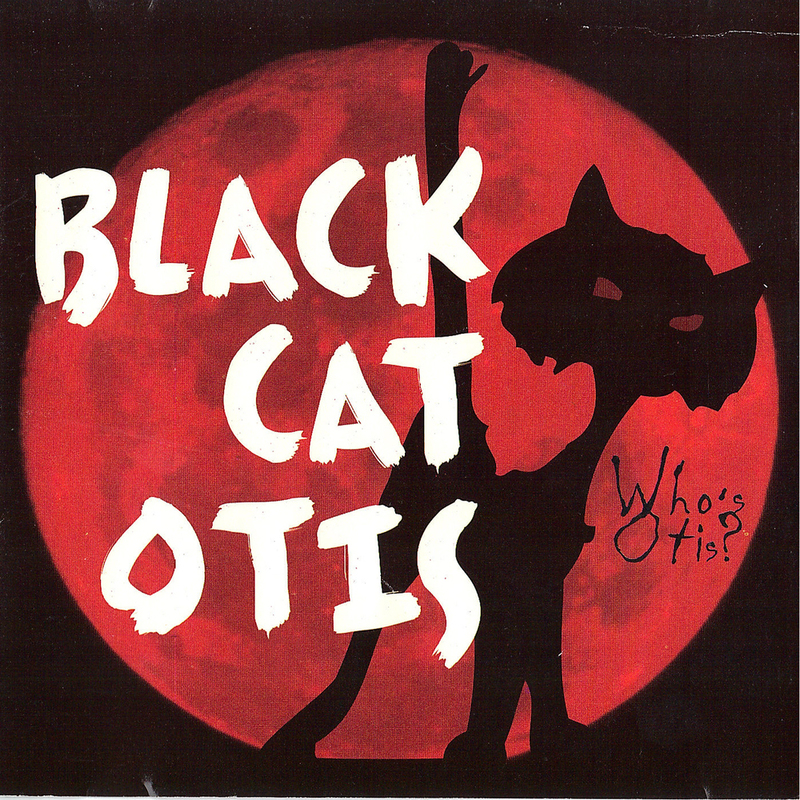 Deke formed blues band Black Cat Otis in 1994. The band recorded live and in the studio producing Who's Otis? with David Granati and Jerry Reed in 1997. Friends and Influence, recorded in 2005, included the talents of friends Joe Negri, Dave Hanner, Brooks Whipple, Mark Chowleski, Frankie Young, Gary Dowds and Bruce Foley and was recorded by Dave Hanner and Al Snyder. 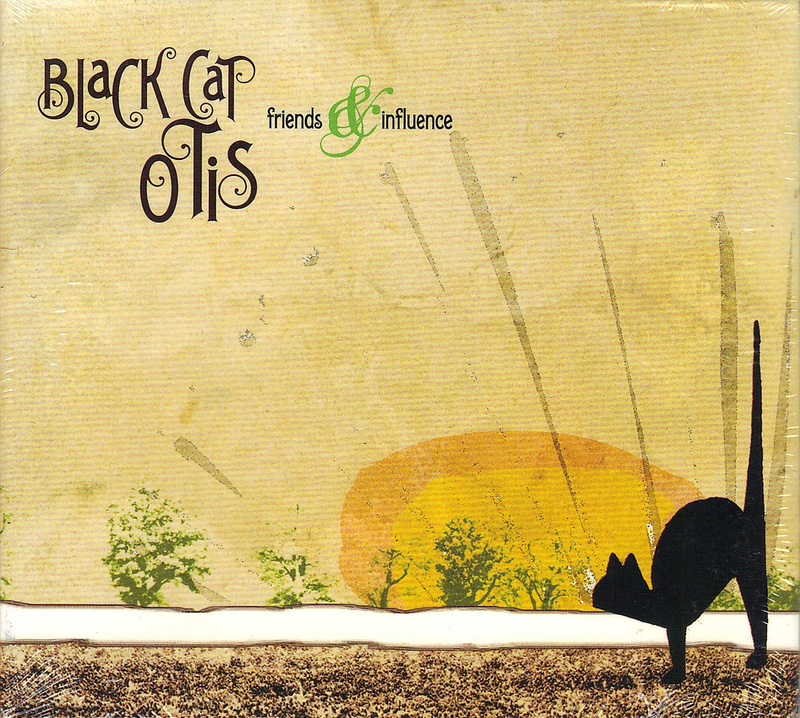 Black Cat Otis contributed to Blues From the 'Burg recorded by Jeff Ingersoll and NPR in 1999. Examples of organizations which benefited from Black Cat Otis performances include the Make a Wish Foundation, the National Association for Retarded Citizens, the Neurofibromatosis Association, the Humane Society and the Greater Pittsburgh Food Bank. The Beaver County, PA County Commissioners chose Deke Kincade and Dave Hanner to write and record This Place Where I Come From in support of the Beaver County Bicentennial Celebration. The year-long celebration was honored by the White House Millennium Council. Performing country-rock with Corbin/Hanner and working in the studio with both Dave Hanner and Bob Corbin, Deke recorded tracks for individual artists and national commercial accounts. With Pure Gold, Deke performed classic rhythm and blues on stage and on the band's 1991 release, Collage. Performances include Paul Simon's Doo Wop shows and the annual Roots of Rock & Roll shows in theaters and festivals throughout the east. Deke performed with Pure Gold while also backing on drums all of the Motown greats featured during shows. 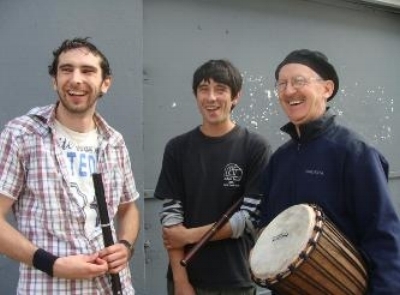 Performing traditional music with Guaranteed Irish since 1996, Deke contributed on drum kit and djembe on the 2008 release, We Won't Come Home 'till Morning. 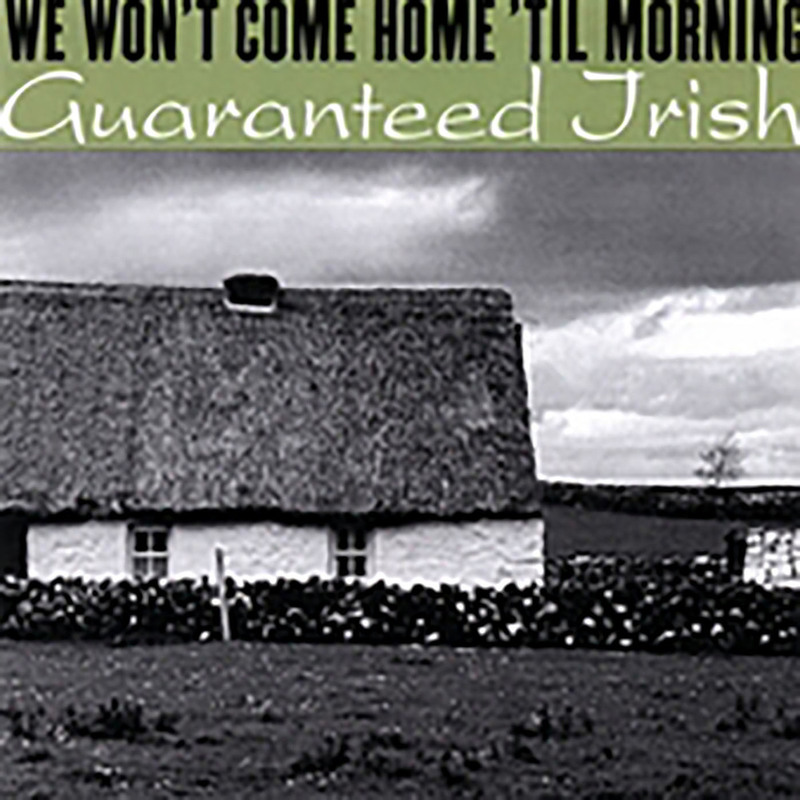 He also contributed with Guaranteed Irish to the tribute album It's All in the Song in honor of Andy M. Stewart, Scottish songwriter and member of Silly Wizard. He participated on tours with Guaranteed Irish in Ireland and on the Joanie Madden Folk and Irish Caribbean Cruises. As session drummer for more than 15 years at Jerree's Studio in New Brighton, PA , Deke backed the majority of Jerree's clients. He recorded regularly with songwriter Joe Rock who penned Since I Don't Have You and This I Swear (The Skyliners) and I've Got Dreams to Remember (Otis Redding).
. . . and the best blues clubs in the east and midwest. Connect with Deke today to schedule a drum circle or to discuss instruction and performance availability. Use the contact info below or the form here.